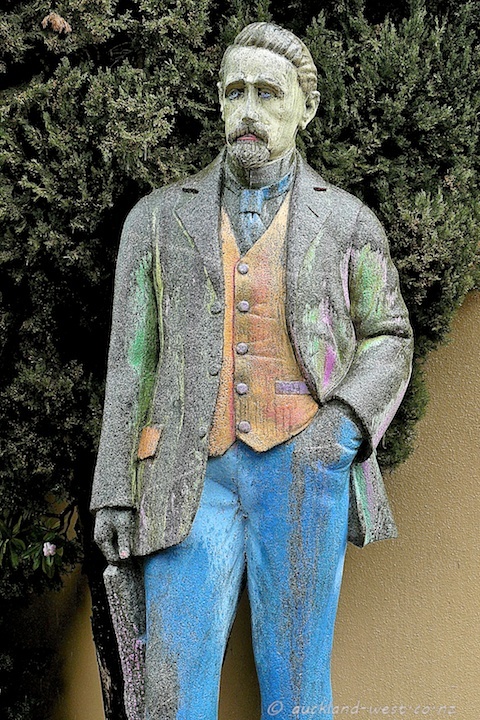 When I drove past Lopdell House on Sunday afternoon, the colourful attire of Henry Atkinson caught my eye. Apparently he had a chalk makeover on Friday, when he looked flash as. Meanwhile, the weather had changed to rain on Saturday night, and here we see our Henry after a first wash.